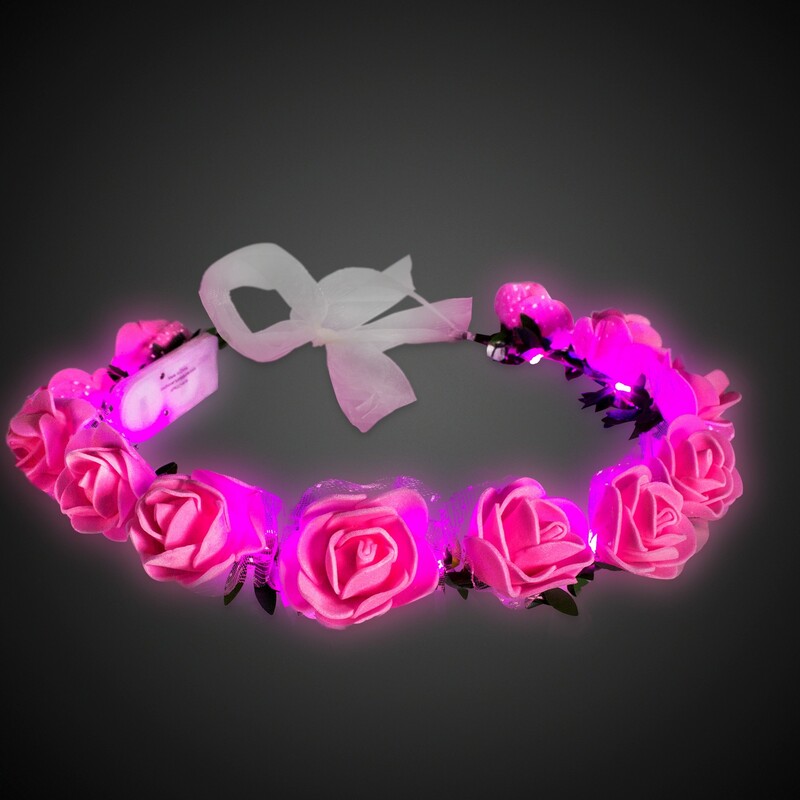 Flower girls, bachelorettes, princesses, dance troupes, & hippies at heart will look oh so pretty in pink wearing our Pink Roses LED Halo Headband. 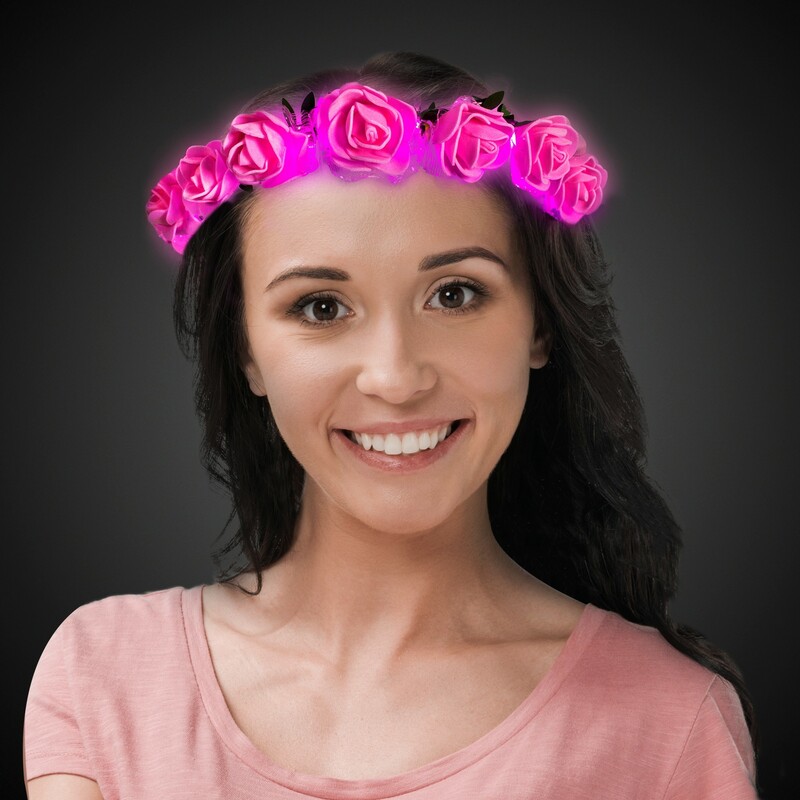 Our whimsical & lovely 19" light-up crown of roses boasts 9 super bright pink LEDs that are powered by a pair of CR2032 batteries, included and installed. Ties securely on head with attached 22" ribbons on each end. One size fits most. 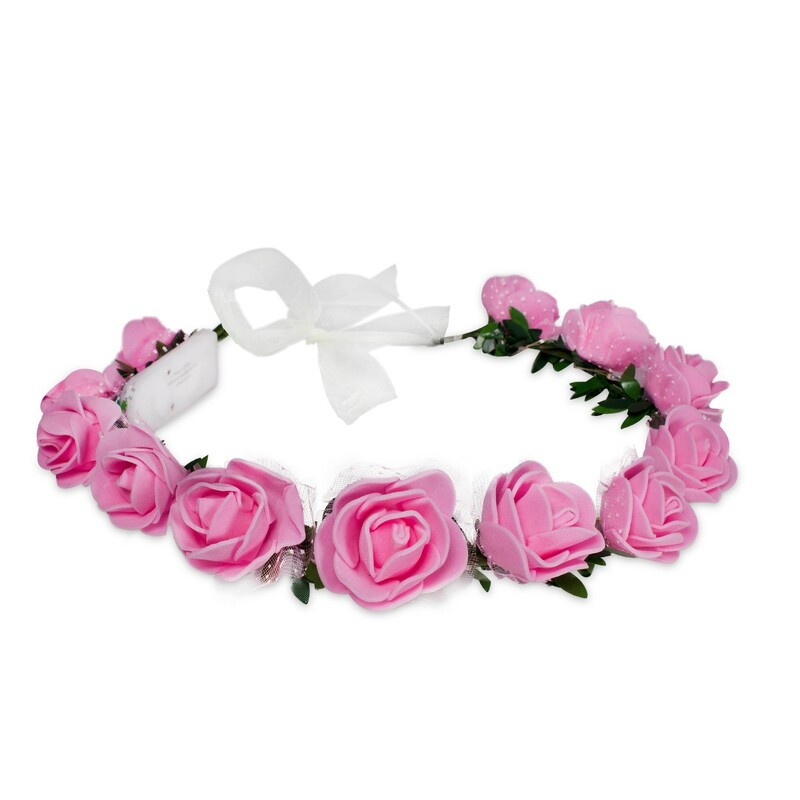 Perfect for festivals and Sweet 16 parties.